As we all know (or at least you should know!) Vibram discs are little works of art. Those various colored chunks of rubber that get compression molded into the most durable discs on the market have always demanded our eyes’ attention when at rest and in flight. For many years, the vast majority of Vibram discs have been these multi-colored masterpieces with very few solid colored discs in between. Every other MFG’s discs have just one product page for each plastic that disc is available in. An Innova TeeBird (Champion) for example has all of its weight & color options listed right there on its page with a few color examples below the default photo. 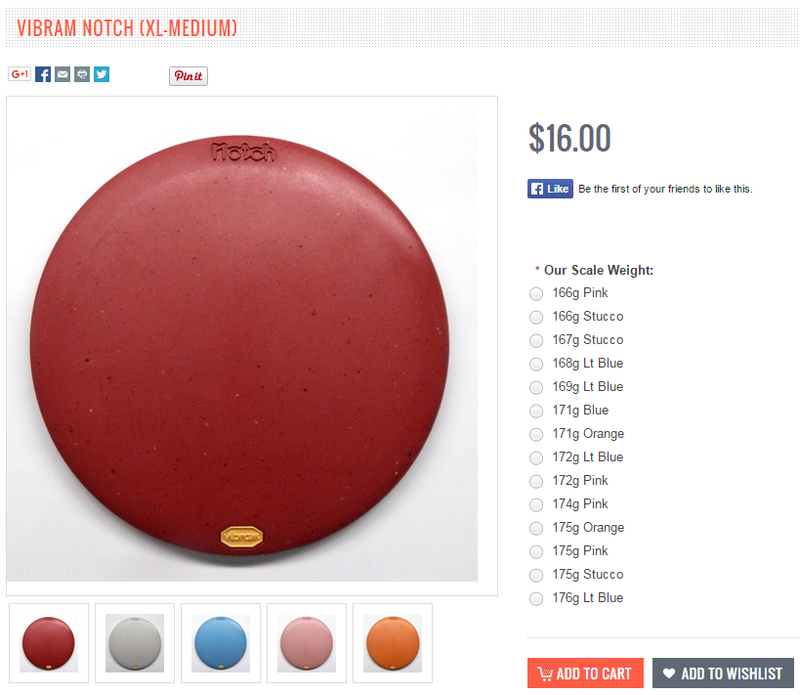 By producing discs in solid colors Vibram allows us to list their discs like the rest of the MFG’s discs. Sure, there are still slight variations within those colors but let’s face it – every other MFG’s colors vary as well. 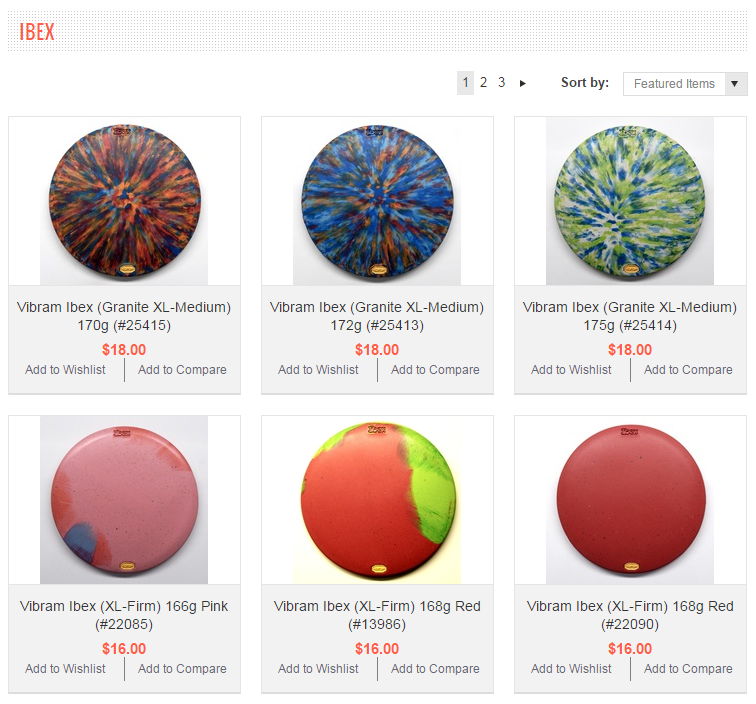 Most non-Vibram discs come in, get weighed, stickered, and added to the website in anywhere from a few hours to a day. There is a pain-staking process behind individually listing each Vibram disc. Sadly, this process typically takes a minimum of 2-3 days. Being able to list solid color Vibrams like the example here means we can get them online and in front of your eyeballs faster than ever. Of course unique colors & Granite XL-Medium discs will always have their own photos. Anything that saves us time helps to keep prices down at CommunityDiscs.com. You know what’s even better than CommunityDiscs.com telling you how great a disc is? It’s another player telling you how great a disc is! We’re very happy with the review system we implemented in 2014 and we’re amazed by the response we have received from it. Sadly, if you review a uniquely colored Vibram disc you purchased your review only appears on that individual “Summit (XL-Medium) 172g (#12345)” disc’s page and not all the Summit pages. The new listing method will allow all reviews to appear on the disc page. Hooray! You can view the Valley, Arch, & Notch in the new listing method right now.